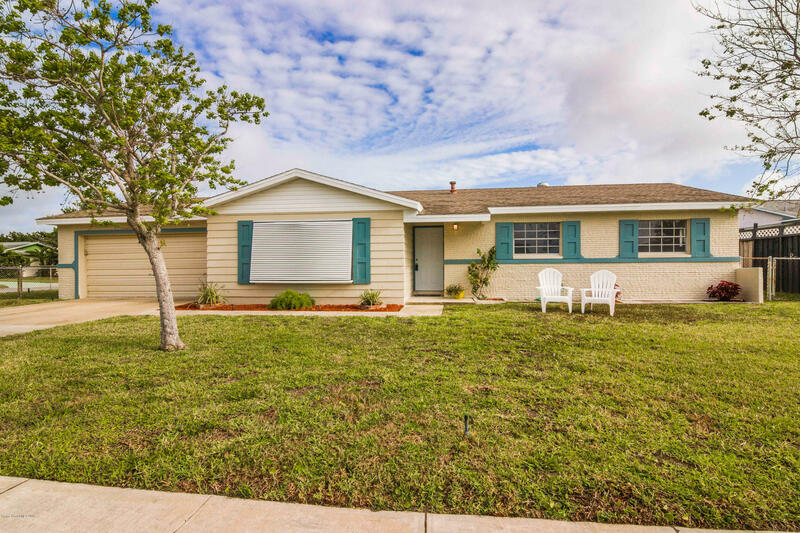 Your FLORIDA LIVING right in the heart of desirable Merritt Island in this updated 3-Bedroom/ 2-Bath/ 2-Car Garage HOME! All FRESH interior and exterior paint. ENJOY NEW Luxury Vinyl Wood Plank Flooring and Lighting to welcome you. UPDATED Kitchen and Baths. STAINLESS Steel Appliances. Take your drinks to the large enclosed PORCH (312 sqft) to RELAX in the breeze. Situated On A Spacious Corner Lot with an oversized Fenced Backyard, paver patio, and storage shed.Easy access to SR520 and 528 ''Beachline'' for airport, attractions, and beaches! Sweet Island life awaits you here! See it today!